Babbleboxx gives you some great discount and coupon codes to use on these great holiday gifts! When Babbleboxx reached out to partner on this post, I wasn't sure about it. We all know how I feel about "gift guide" posts if you read this blog regularly. But then I looked into the company's featured in the holiday box they wanted to send me to have me talk about here, AND they gave me some awesome coupon and discount codes to pass along to you, so I quickly got on board. 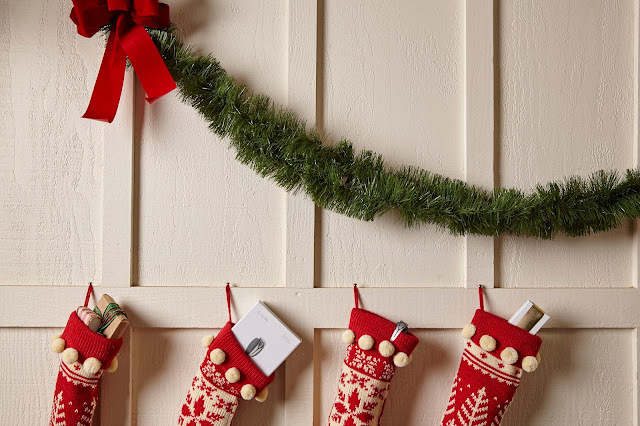 Read on for some really cool products to gift (or to gift yo self!) and some savings to be had! Score. Know someone who likes sweets? Who doesn't, right? But let's get real for a sec. Have you ever gotten a gift basket that looks really pretty but the items in it taste like they're at least five years old - you know, the ones that have been in storage so long, they've taken on the taste of the cardboard they're in? Hopefully it is just me that's experienced that, because it's a bummer. Long story short long, this brand offers gourmet brownie gifts that are legit! They have farm partners that produce fresh ingredients for the brownies, so they're chalk full of quality, tasty stuff. This gift box offers several flavors: Walnut Chunk, Peanut Butter, Triple Chocolate Chunk Blondie, Espresso Dulce de Leche, Maple Toffee Crunch, and their Signature Brownie. Is your mouth watering yet?! Get 15% off this box of deliciousness here. I joke about how I'm a crappy vegetarian on my Instagram all the time. Why? Because STEAK. I *could* go "strict" vegetarian if I were allowed two or three filet mignons a year and five or six cheeseburgers. So, you know, I'm not really good at being a vegetarian at all, but whatevs. 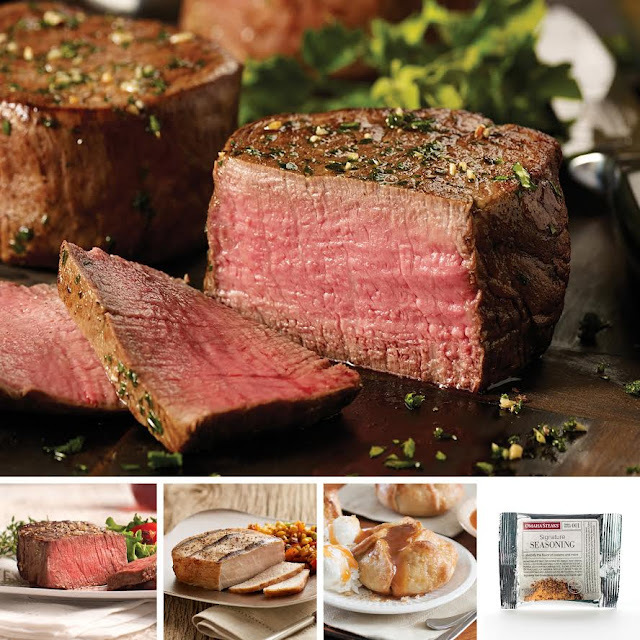 Omaha Steaks has tons of amazing holiday gift basket options, but this one is my favorite because of the filets. It features 2 (5 oz.) Filet Mignons 2 (5 oz.) Top Sirloins 2 (4 oz.) Boneless Pork Chops 4 (3 oz.) Potatoes au Gratin 4 (4 oz.) Caramel Apple Tartlets 1 - Signature Seasoning Packet. This Tasteful Gift package costs $69.99 and ships free! That's an amazing value, because a steak alone would cost that if you eat out. Get free shipping on your steaks here. Guys. Guys! GUYS. When I started blogging two and a half years ago, it never crossed my wildest blogging dreams that I'd be sent a diamond necklace. What makes it even better is that it's an OM sterling silver pendent on a 16" chain, with a brilliant cut round diamond. That's a lot of fancy talk, but my little yoga heart exploded at this! See, for us yogis, OM embodies spirituality, energy and strength. It's said that if you wear the OM, it will bring you luck, love, peace and harmony. Know a yogi in your life? She'll be thrilled with this gift. Trust me. From one yoga-loving-gal to another. Get yours here! Funny story - pre puberty Paige had stick straight hair. Then puberty hit and it got curly. Then I had babies and it's back to it's stick straight self. Like make up your mind already, hair! In fact, it's so straight, I can let it air-dry and it won't have one kink or wave in it. I do, however, live in the South, and while I was told Dallas is "dry heat" that turned out to be a bag of lies. It's humid and hotter than h-e-double hockey sticks here. That translates to frizz, even for us straight haired gals. I've also been dumping a boatload of bleach in my hair since moving to Dallas... Because, you know, Dallas. This cool mist straightener is salon quality. It adds the hydration my beached ends desperately need, softens the crispy ends and reduces frizz caused by Southern-level heat. If you have curly hair or live in my kind of climate, you need a cool mist straigtener! If you don't, you should get it to make beautiful flat iron curls. Basically, everyone can win with this! Get 20% off thru 12/30/2016 here. Lots of awesome holiday gift ideas with discount and coupon codes, right?! Probably some ideas you hadn't considered before, too. And what I love most about this roundup is that there's something for everyone, from your sweets lover to meat eater to mindful yogi to beauty guru. Also - That necklace! So fun and so perfect for yogis. That necklace is awesome! I'm no yogi, but I'm brown. Also, need to check out LumaBella... been seeing it everywhere. That mindfulness gadget is so cool! What a great concept. I've been seeing the LumaBella every where. I only straighten my hair like three times a month, but I love that it's cool mist. I love the LumaBella concept. May need to check it out and see what's about. thanks for putting all of this is one post! I’m impressed.